Raspberry ketones are chemicals from red raspberries that are used for their flavor and aroma. Although there are some supplements claiming that raspberry ketones promote weight loss and increase lean body mass, there really isn’t enough scientific evidence that proves these claims to be true – at least, at this point in time. Are raspberry ketones just another natural homeopathy element of a fad diet, or can they really help you lose those extra pounds you’ve been working on? You may be struggling to lose weight and tempted to turn to supplements that claim to make a difference. Unfortunately, there’s no clear answer to these questions just yet. Nonetheless, there are a couple of benefits of raspberry that are worth noting; and here are a couple of them. A study published in the Journal of Medical Food back in 2012 found that raspberry ketone treatment, after a high-fat diet, can protect rats against non-alcoholic steatohepatitis, which is liver inflammation caused by a buildup of fat in the liver. Furthermore, researchers reported that raspberry ketones had a dual effect of liver protection and fat reduction in the tested lab rats. A recent study found that raspberry ketones may have a therapeutic role in controlling hyperlipidemia and insulin resistance among obese rats. Once more, this is an animal study and the ketone doses were 250-500 milligrams per kilogram of body weight, which would be a very high dose for humans. However, the study suggests that raspberry ketones contribute to the upregulation of AQP7 expression, which is a protein that plays a crucial role in metabolic function. Like most of the potential benefits of raspberry ketones, more research is needed on this to help indicate whether ketones are effective in balancing cholesterol levels and insulin resistance in human beings or not. A research conducted in Japan indicated that raspberry ketone has a structure that’s the same with that of a capsaicin, the molecular compound that’s found in spicy peppers. It’s believed that, like capsaicin, raspberry ketones help activate the sensory neurons, thus helping promote hair growth by increasing dermal insulin-like growth factor-1 (IGF-1) expression. Researchers in Japan reported the efficacy of raspberry ketones when it comes to hair growth evaluated its ability to also improve skin elasticity in humans. They found that when 0.01% of raspberry ketones is applied topically to the skin on the face, it causes an increase in cheek skin elasticity around two weeks after application. Traditionally, ketones found in red raspberries were used as one of the most commonly used natural therapies that helped prevent high cholesterol, diabetes and even liver cancer. 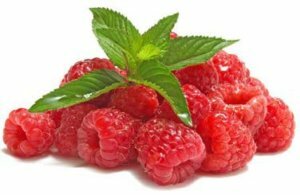 Furthermore, raspberries were consumed for their ketones before supplements with higher doses were made available. Lastly, raspberries were also consumed for their nutritional value as well. Nonetheless, raspberry is quite impressive, boasting powerful antioxidants and nutrients such as vitamins C and K, magnesium and manganese.